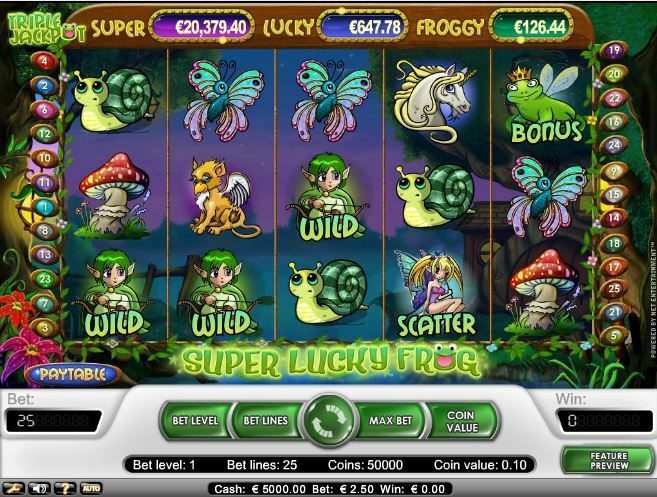 Super Lucky Frog is a 5-reel, 25-line Net Entertainment video slot that is filled with elf’s, squirrels, butterflies, snails, toadstools and a beautiful unicorn. The scatters in this slot are the Fairy Girls, and if you get 2 of those, your bet will be doubled. Get at least 3 Fairy Girls, and your bet will be quadrupled and the free spins feature will be triggered, giving you 10 free spins to play. 4 Fairy Girls will pay out 50x your bet and gives you 20 free spins! 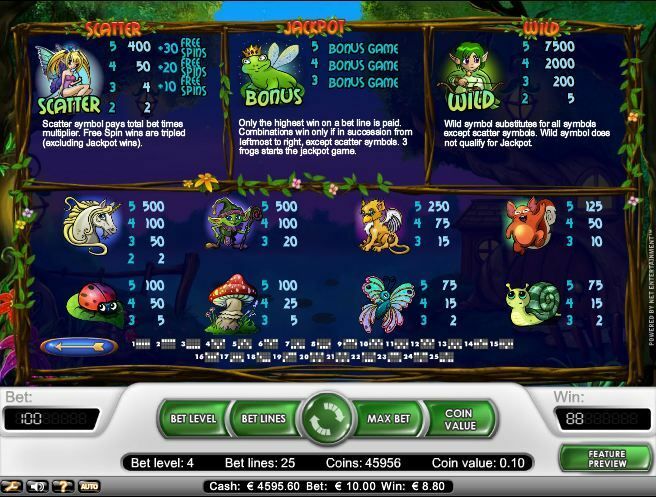 If you're super lucky and 5 Fairy Girls land on any line, you will receive 400x your bet - which totals a whopping € 20,000 if you play at maximum bet! Plus 30 free spins to top it off! During free spins, your winnings will be tripled and the free spins feature can be re-triggered as well! The wild symbol in this game is the Green Elf, which substitutes all symbols, except the Fairy Girl and the bonus frogs. If you hit at least 3 Super Lucky Frogs, you are off to play the Jackpot Game. The bonus feature can also be triggered during free spins. 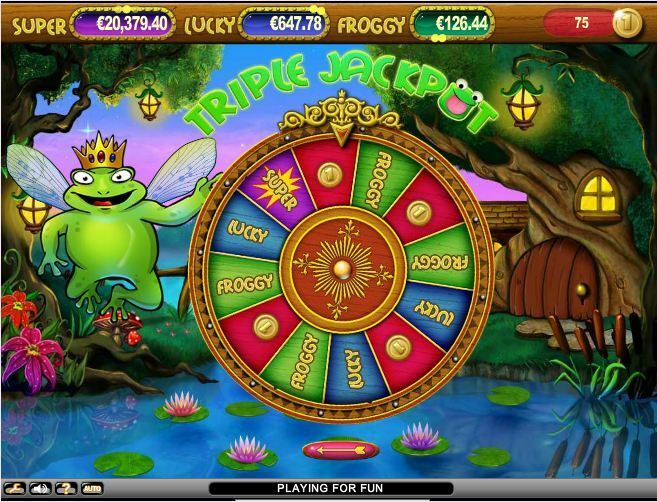 When you start spinning the Jackpot Wheel, you can win 100x your line bet or you can win the Froggy Jackpot!